If you make a LinkedIn post to your company page and there’s no one there to read it, does it still make a sound? That’s the premise posed by Jaime Pham, content marketing consultant at LinkedIn in a webinar yesterday – though she spoke in more practical terms rather than using aphorisms. As social media marketing has become important for all content marketers and LinkedIn particularly important for those in the B2B field, writing updates both organic and sponsored are an important way to communicate with your audience. Pham offered a general mission statement for LinkedIn updates as a guide to success: be professional, helpful, and aspirational. Be as concise as possible and write with mobile users in mind, as many LinkedIn users are now accessing their group via the smartphone app. Most importantly, be engaged and remember the “social” part of social network – don’t just talk about yourself or your company, but truly interact with your page followers. Pham also provided 10 tips for compelling updates, which we present to you here. Or at least, in part – you’ll have to go to our own LinkedIn page to read the rest of them. Don’t bury the lead of your company status update. There’s a lot of information coming at people when they’re online and scrolling through their feeds, so get to the point because they’re not going to wait on you. Tell them what’s important to know or interesting to know right off the bat. You must also consider mobile users, Pham points out. Mobile users can see even fewer characters out of your post intro than desktop users. Visit the ITBusiness.ca LinkedIn company page to read all 10 tips on creating compelling company page posts right now. A picture is worth 1,000 words, they say and a nice high-res image on your LinkedIn company page might just be worth 1,000 interactions. Pham says that LinkedIn statistics show a post using an image will get better interaction than just a plain text post. But if your end goal is to drive traffic through a web link, this might not be your best option as your audience will have to click on to the image, then click on a hyperlink you put in the caption. Remember if you want to insert an image in this manner you must click the paper click icon and insert an image. It’s different from choosing a picture associated with a hyperlink you paste in. 4. Post rich media like Youtube, Vimeo, and Slideshare. See our example on the ITBusiness.ca company page. You always want to reach a niche audience with your targeted organic or sponsored updates, but remember that you still want to reach a significant audience. Pham says the general rule of thumb when you’re setting your filters for a sponsored content update is to try and hit at least 50,000 LinkeIn users. If you have a large following on your company page, it’s ideal to craft a post that will target at least 10,000 people. 6. 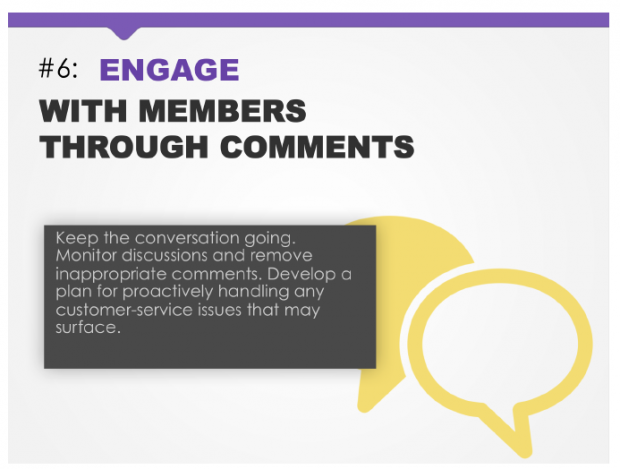 Engage with members through comments. 7. Monitor, analyze and refine your content. On LinkedIn, analytics are available in almost real-time, Pham says, and marketers should be taking advantage of that. Test different copy for the message you want to get across to your audience, and different images too. If you see the analytics tools report a hit, then you know you can try and replicate that success in the future with the same tactics. 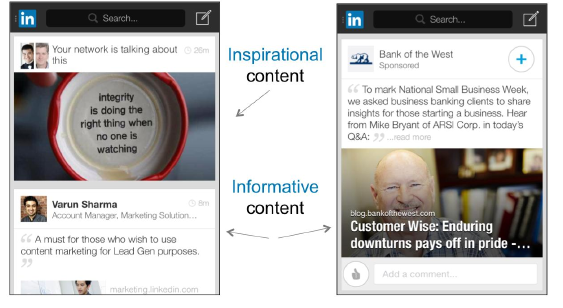 If you want to do some A/B testing on messaging without posting a series of updates on the same topic to your company page, an option could be to use LinkedIn’s “sponsored content” to directly reach out to users with different copy and image arrangements, but of course that will cost you budget. 8. 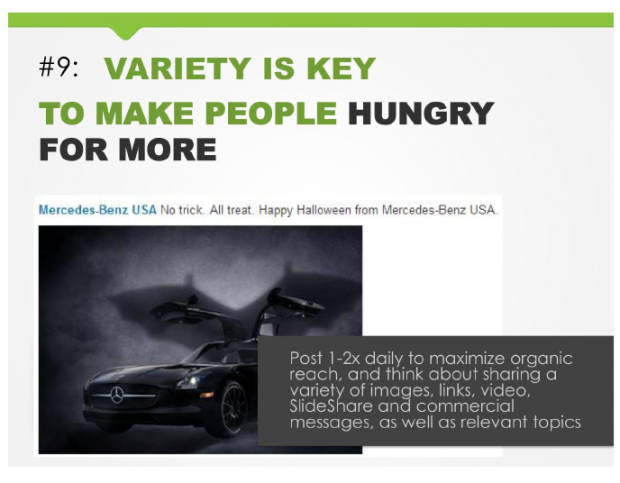 Use an exclusive feature to get people interested. Check out our own exclusive feature on the ITBusiness.ca company page. “Professionals are humans too, they want to be entertained and have that done inside the professional context,” Pham says. To that end, don’t have tunnel vision when you’re posting to your company page and only write boring corporate updates. Try and mix it up with related content that is in line with your brand and don’t be afraid to show a sense of humour. It’s helpful to think about how you relate to your colleagues in the office and try and replicate that on LinkedIn as best you can. 10. Visit the ITBusiness.ca LinkedIn page for the last tip. It’s a good one. See you on LinkedIn.